Your own blood carries a healing agent that can assist in treating many injuries. By drawing your blood and spinning it down in a centrifuge, we are able to harvest the platelet rich plasma (PRP). With this, a concoction can be made up and re-injected into the injured area to help strengthen and heal joints, ligaments or tissue. PRP is an autologous concentration of human platelets to supra­physiologic levels. Platelets are irregularly shaped, non­nucleated cytoplasmic bodies derived from fragmentation of megakaryocyte precursors. PRP is a specialized form of blood plasma that is rich in growth factors, cytokines, and stem cell precursors. The growth factors from PRP promote cell differentiation and maturation. When combined with a stem cell treatment, the stem cells are like planting the seeds and the PRP is like the soil, water, fertilizer, and sunlight that help the seeds mature and grow. As part of our patented TBI Therapy Protocol, insulin and PRP infusions can be administered in coordination with another regenerative injection therapy – stem cell therapy – to help accelerate regrowth and rehabilitation in the brain. Scientists from the Gladstone Institute of Neurological Disease (GIND), UCSF, and Stanford have discovered that a certain type of collagen, collagen VI, protects brain cells against amyloid­beta (Aβ) proteins, which are widely thought to cause Alzheimer’s disease (AD). While the functions of collagens in cartilage and muscle are well established, it was unknown before this study that collagen VI is made by neurons in the brain and can fulfill important neuroprotective functions. At baseline levels, platelets function as a natural reservoir for growth factors, including platelet­-derived growth factor (PDGF), epidermal growth factor (EGF), transforming growth factor­beta 1 (TGF­β1), vascular endothelial growth factor (VEGF), basic fibroblast growth factor (FGF), hepatocyte growth factor (HGF), and insulin-­like growth factor (IGF­I). There is a general consensus in PRP research that the injection of concentrated platelets, once activated, results in an exponential increase in numerous growth factors at the sight of PRP injection. PRP is harvested from the patient’s blood by a simple blood draw. During infusion, the patient will lay back on the exam table with their head tilted perpendicular to the ground. After local anesthetic is sprayed into the nose, the PRP combined with insulin and other nutrients is dripped up the nose with a special device. The patient will lie there for another 15 minutes while the PRP fuses into the brain. After this, the patient is free to get up and continue their daily activities. To promote optimal regeneration, PRP is usually paired with several hyperbaric oxygen therapy (HBOT) sessions before and after. The PRP is infused the day before the intranasal stem cell infusion. 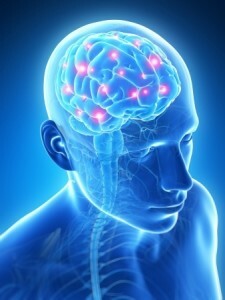 Several mechanisms have been identified through which insulin administration may facilitate cognition, including regionally specific central nervous system (CNS) effects on glucose metabolism modulation of long­term potentiation (LTP), as well as modulation of CNS concentrations of neurotransmitters, such as norepinephrine and acetylcholine. However, peripherally administered insulin is not a viable treatment, in part due to risks associated with hypoglycemia. Insulin and PRP can access the cerebrospinal fluid (CSF) along the olfactory neurons through the cribriform plate, or they can enter the CNS parenchyma through perivascular channels associated with the olfactory or trigeminal systems. 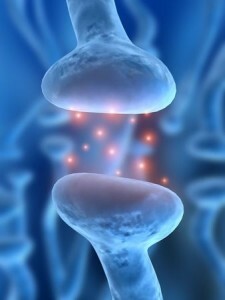 In addition, a slower axonal transport pathway has been identified along which insulin can access the CNS several hours after intranasal administration. A number of compounds, including insulin and insulin­-like growth factor­I, have been successfully delivered to the brain or CSF following intranasal administration. Intranasal insulin administration increases CSF insulin levels in humans about 10 minutes after the injection, with peak levels achieved in about 30 minutes. Blood glucose and insulin levels do not change after intranasal administration, demonstrating that the changes in CSF are not due to transport from the nasal cavity to the systemic circulation. How Do Growth Factors in PRP Aid Healing?